Ayurveda is the “science of living,” a health science from India which is 5000 years old. According to this science each person’s health problem is unique, requiring individually tailored program. Modalities include, food, lifestyle/daily routine, herbal formulas, cleansing/detox procedures, breathing exercises, as well as yoga and meditation types for your constitution. Ayurveda seeks to restore balance within the body. Diet plays a primary role in achieving this balance, as it is food that gets digested to create new tissues while herbal remedies aid this process. When food is not properly digested, it leads to the buildup of toxins, or ama, in the body. According to Ayurveda, everyone is born with a unique combination of the five elements (or the three doshas) – this is our prakruti or constitution. When this inborn constitution becomes imbalanced through diet, lifestyle, time of day, time of life and climate, it is called vikruti or pathology. Therefore, Ayurveda suggests the use of different qualities and substances to bring these elements back into balance. Any particular individual may be primarily one dosha, or any combination of the three (i.e. vata, pitta, kapha). Typically, it is our strongest dosha that gets imbalanced. Part of the beauty of the Ayurvedic dietary consideration is the wisdom that links a particular taste and quality of food with its effect – whether aggravating or pacifying – on a particular dosha. 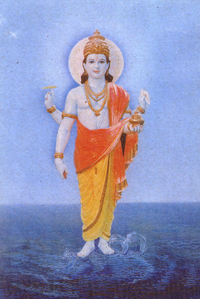 In Ayurveda, the concept that ‘like increases like’ means that a person with too much heat, or pitta, would not try and achieve balance by eating foods that are heating or that increase pitta; rather they would balance this dosha by eating foods that have the cooling qualities of water or earth and ether.